It’s ramp season!!! I’ve been waiting for them to pop up and was super excited when I got some in my CSA bag this week. 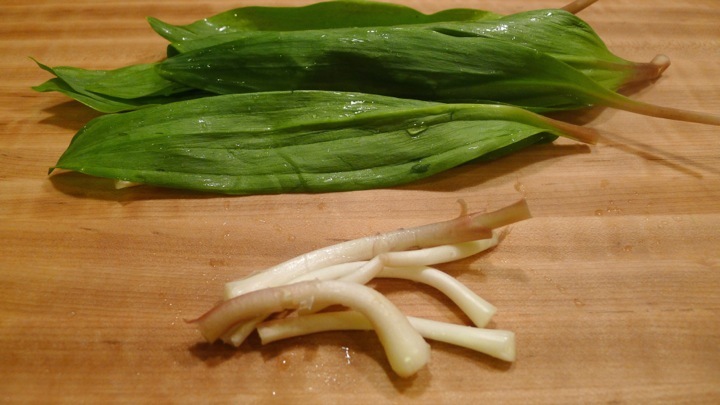 Ramps are little onions that are only in season for a very short period of time in the Spring. They have small bulbs on the bottom, and leafy greens on the top. All of which are edible and delicious! 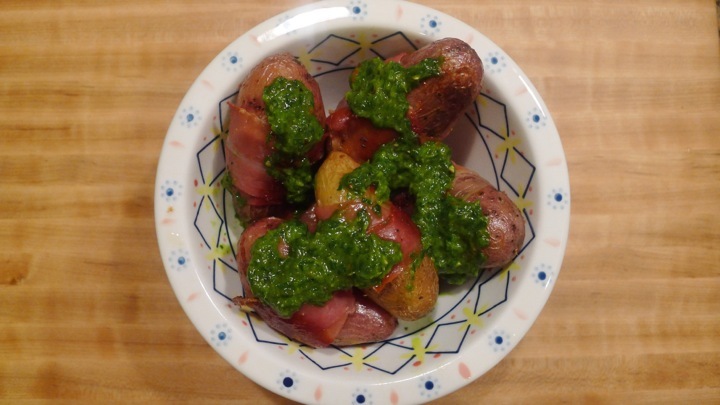 I made a chimichurri sauce using the ramps, which was really fresh and flavorful. 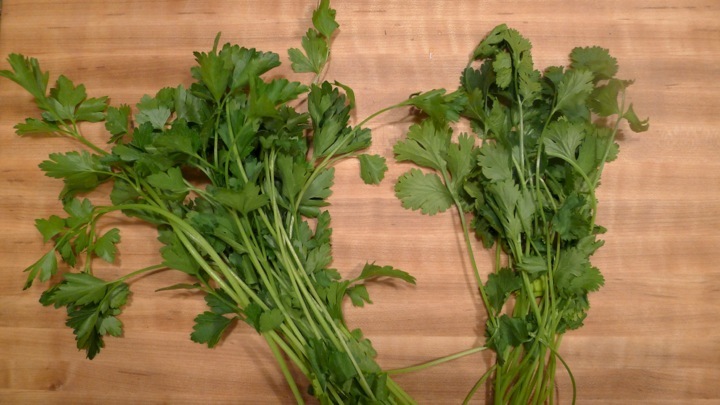 It could be used on a variety of things really, from chicken or steak to a simple plate of roasted vegetables! I was only planning on eating a few then taking the rest to work tomorrow….but I ate all of them. Every single last one. I guess that’s a good sign though! Preheat oven to 425 degrees. 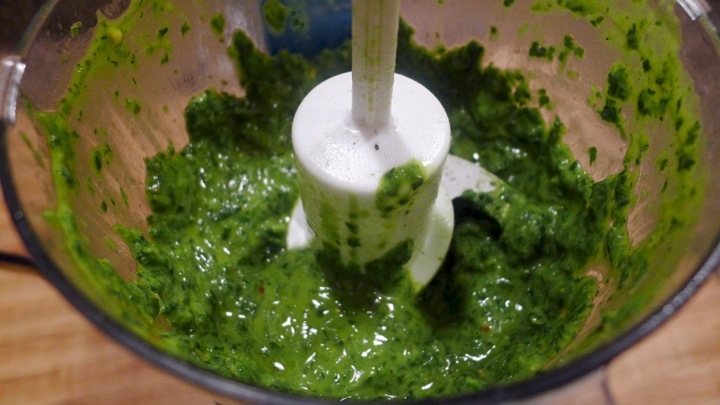 Start by making the chimichurri sauce. 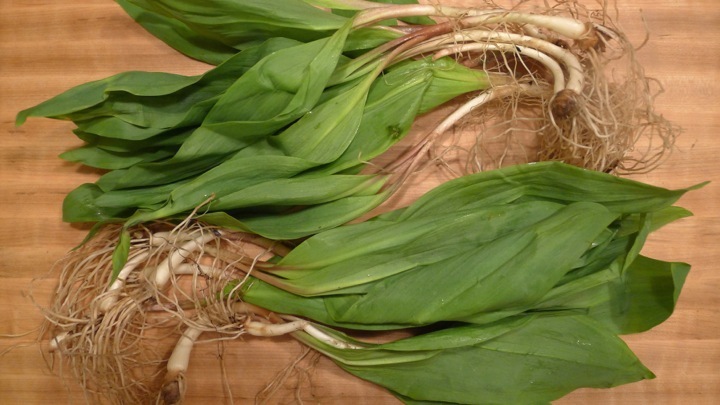 In a pot of boiling water, boil the stems/bulbs of the ramps for 3 minutes, then add the leaves and cook for one more minute. Remove and run under cold water to stop the cooking. 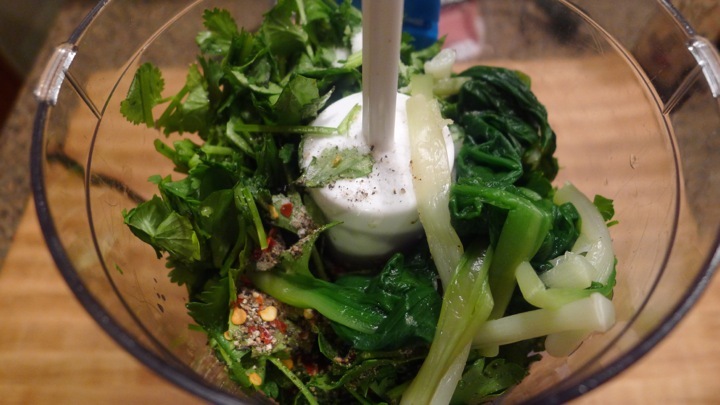 Add the ramps, cilantro, parsley, salt, pepper, and chili flakes to a food processor. Blend until mixed well, then slowly add the olive oil a little at a time, followed by the red wine vinegar. Set aside until ready to use. Next, cook the potatoes. 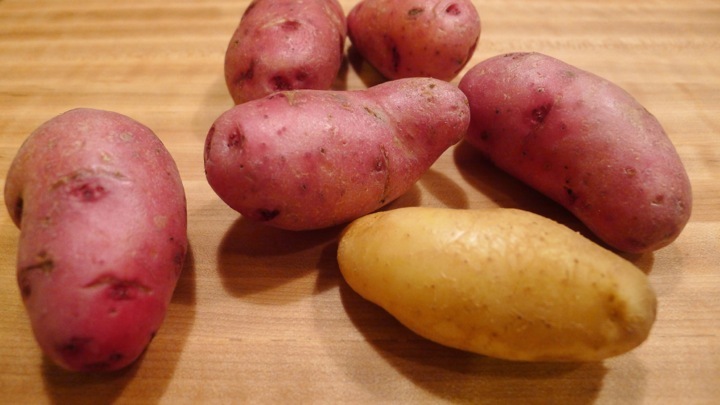 Place the potatoes in a medium pot and cover with cold water. Add a pinch of salt and boil for about 6 minutes. 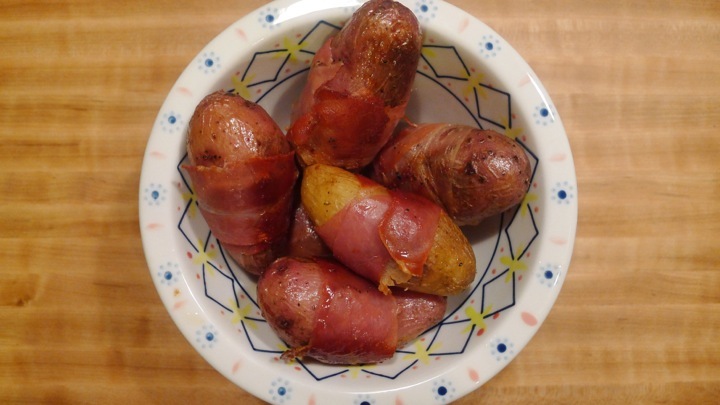 You do not want to cook them all the way, otherwise they will dry out in the oven. Remove and set aside until slightly cooled. Place potatoes on a baking sheet and drizzle with a little olive oil. 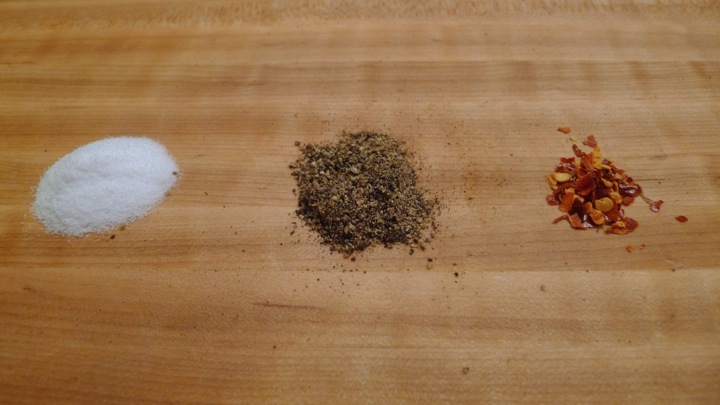 Sprinkle some pepper, then cook for 10 minutes, flipping half way through. Once they are cooked, remove from the oven but keep the oven on. 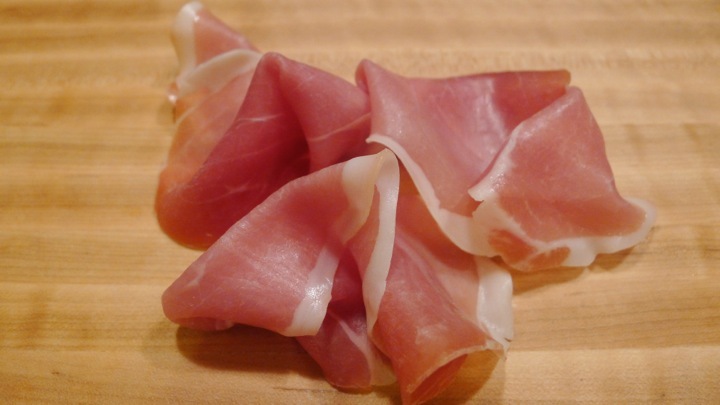 Cut the prosciutto in half the long way so each slice is about 1 inch thick or so. 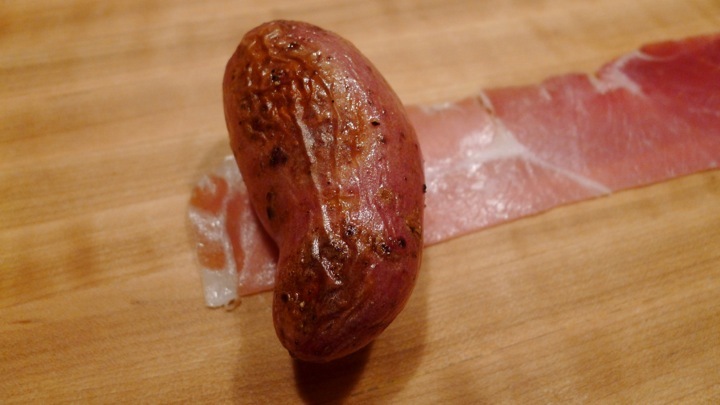 Place the potato on one end of the prosciutto and roll it up. Continue with the others then place back on the baking sheet. Cook in oven for about 5 minutes or until the prosciutto is crispy. 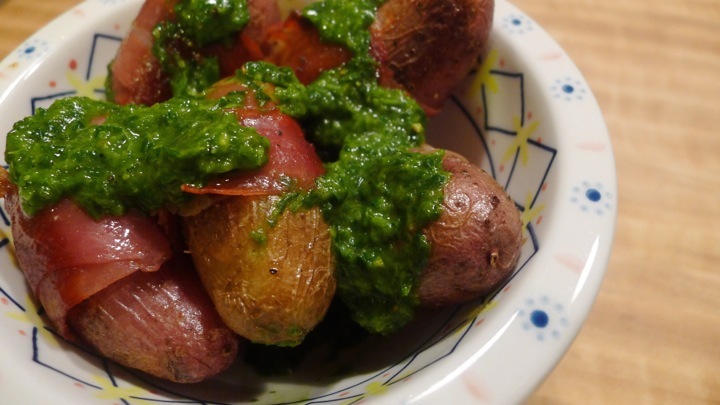 Add the potatoes to a dish and spoon some chimichurri on top!